And they could be costing you! Facebook for Real Estate and for Realtors is challenging. You need to be making contributions to your audience to build trust. Some times though you think you are doing it right and the tactics you are using are actually hurting your Facebook progress. 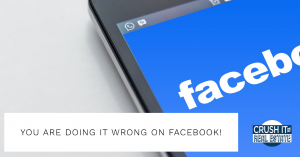 Fill in your email below and we will send you a one page sheet that talks all about what you are doing wrong on Facebook.